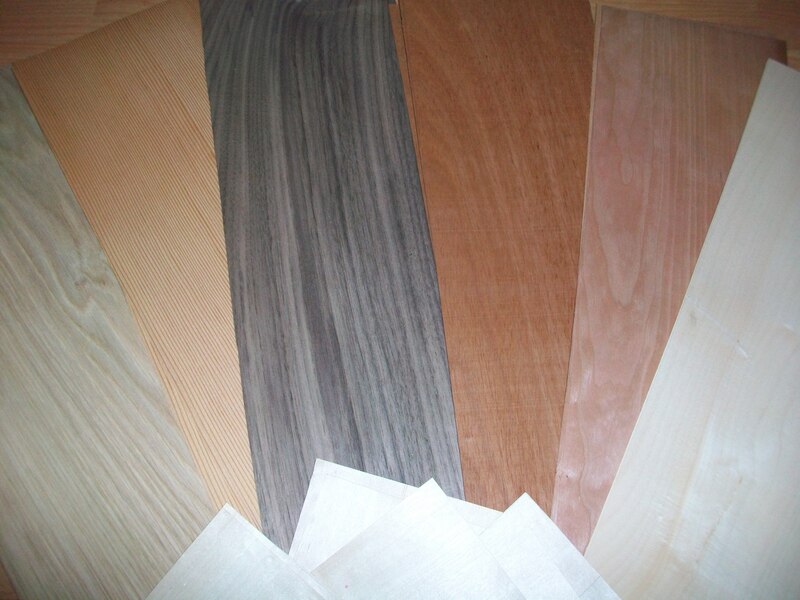 Veneers for fins “sunrise” on the inside of each fin. 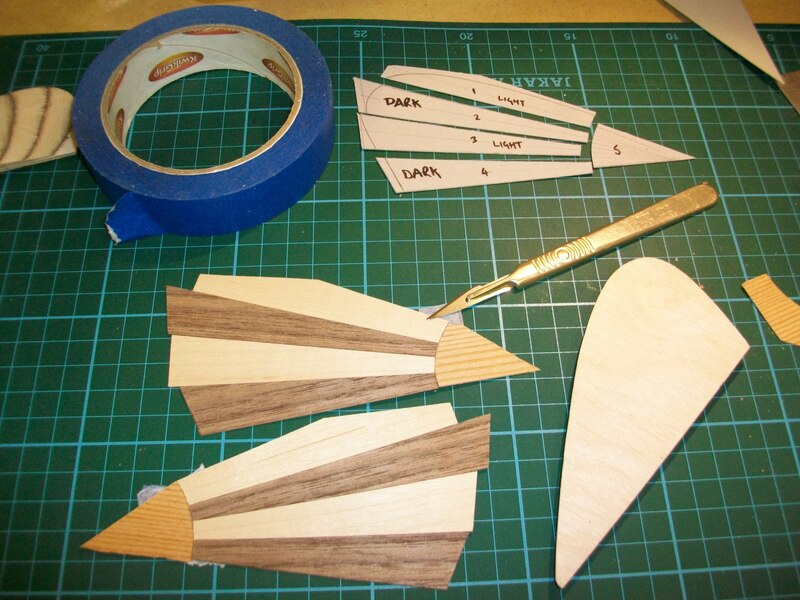 Veneers cut and awaiting glue. 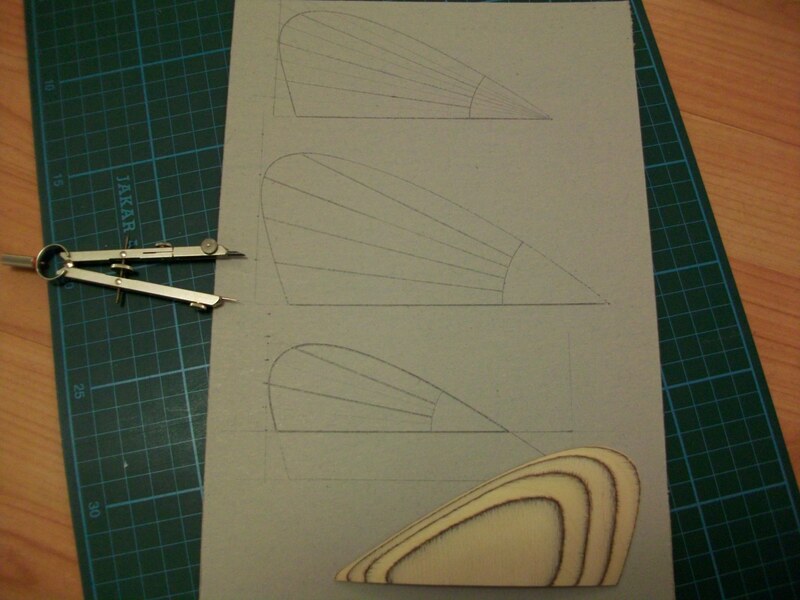 Fin template inspired by the Campbell brothers Bonzer surfboards . 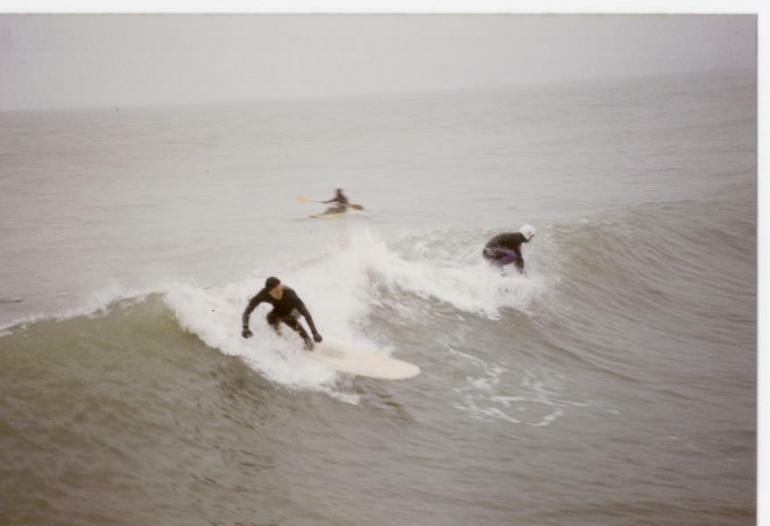 These shots were taken of me when I was 20 my first proper longboard single fin,purchased second hand from Jon the Hairdresser and locally shaped by John Greene at Hot Rocks surf shop. 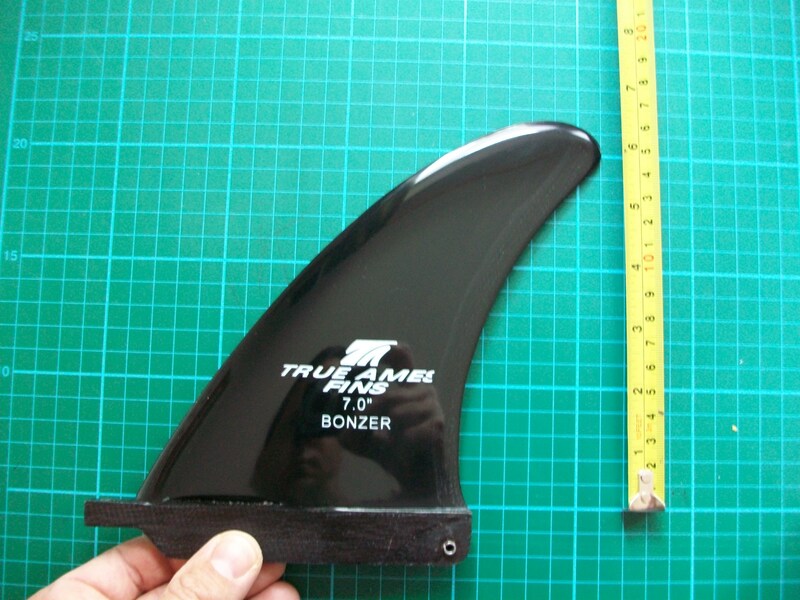 more photos of my other boards to follow..
A fully restored & retuned Bonzer fin. 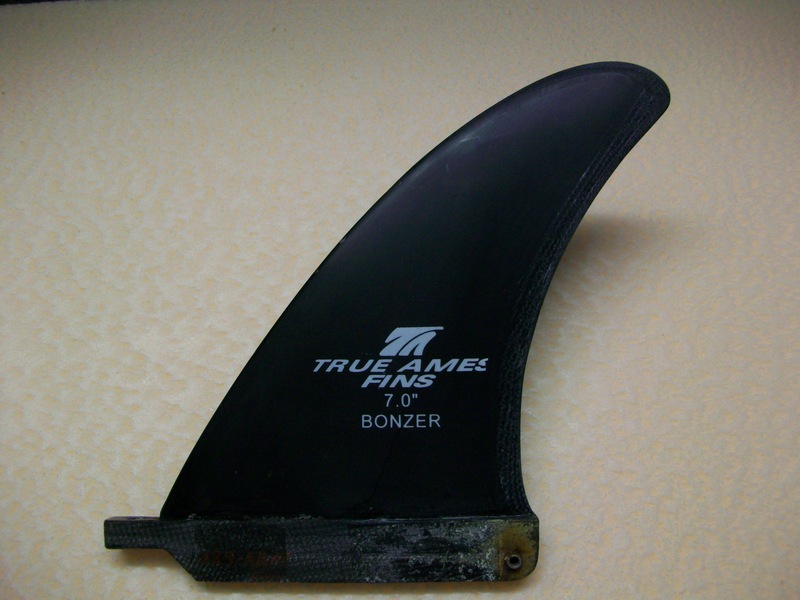 Bonzer fin re profiled and restored. 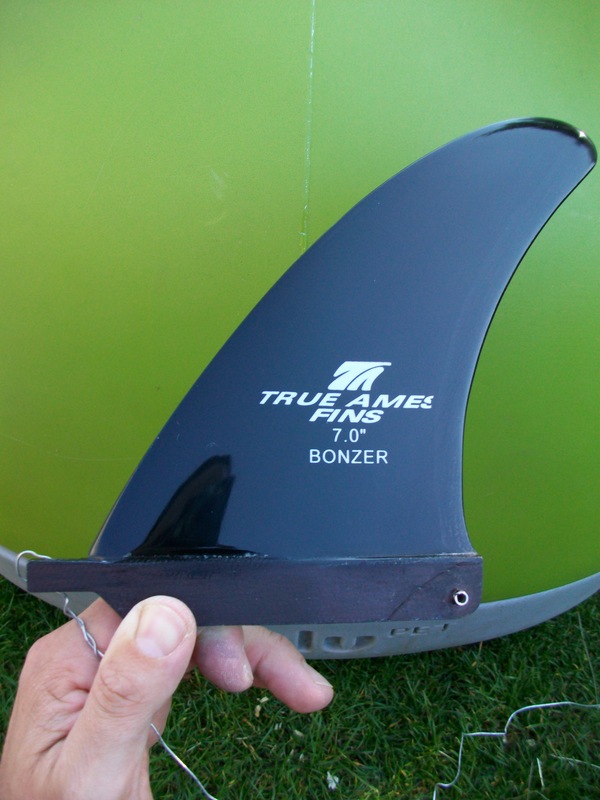 I have attached photos of my Bonzer 7.0 Trueames Fin that was damaged.. . 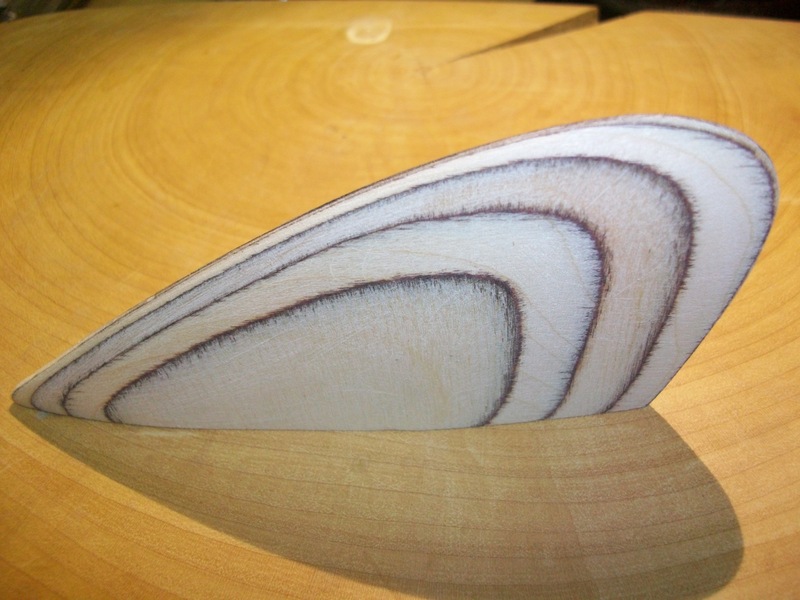 I repaired and re-profiled this to my requirements – I wanted a fin that was quicker to turn with a bit more flex. 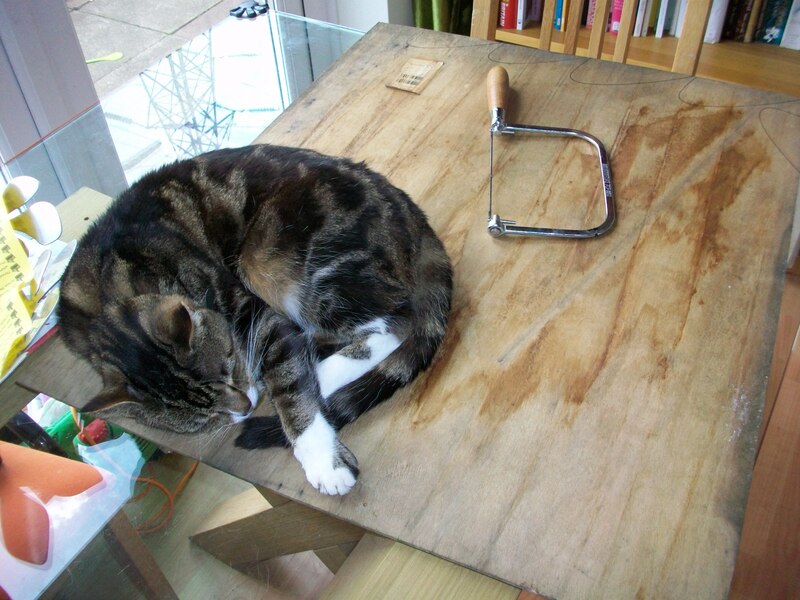 Just after initial template retune. My name is Jeff Smith “aka The Ding Man“ and I live on the South Coast of the UK (Bournemouth).